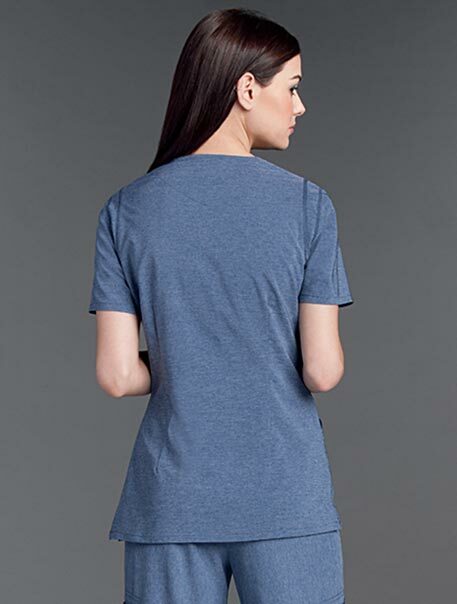 It’s time to shake things up in your medical scrubs uniform wardrobe with the Notorious Curved V-Neck Scrub top by Smitten! 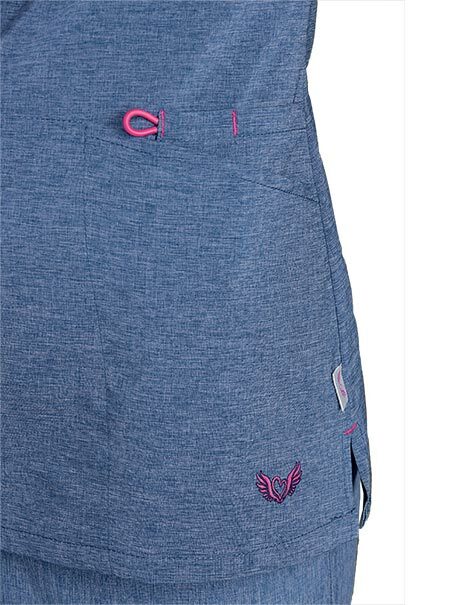 Equipped with six easy access top loaded pockets, you have ample storage space to house all of your essentials. 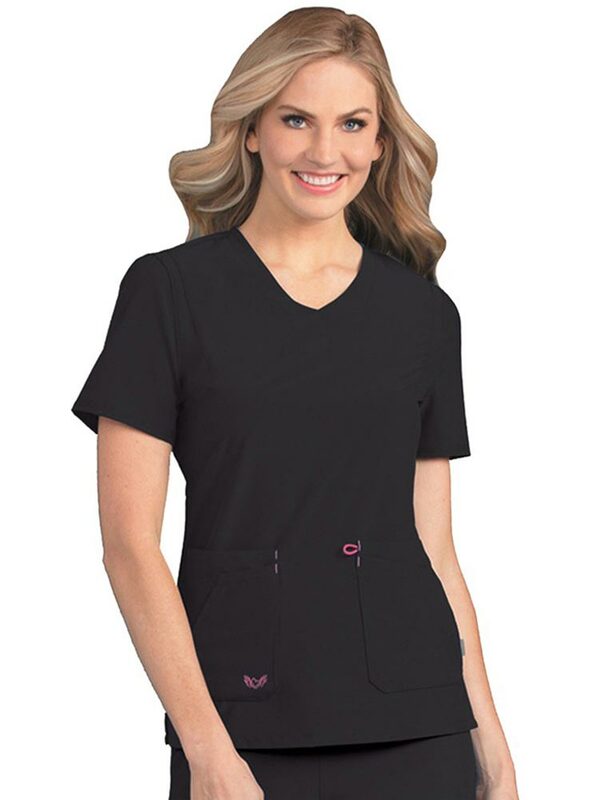 Wear your nursing scrubs with confidence knowing you are wearing a scrub top that stays true to form and drapes beautifully. 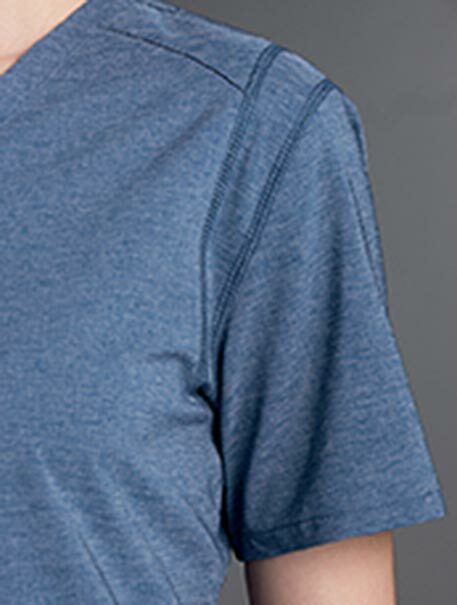 Not only will you look fierce, you will remain comfortable with the stretchy, easy to move in fabric and side vents. 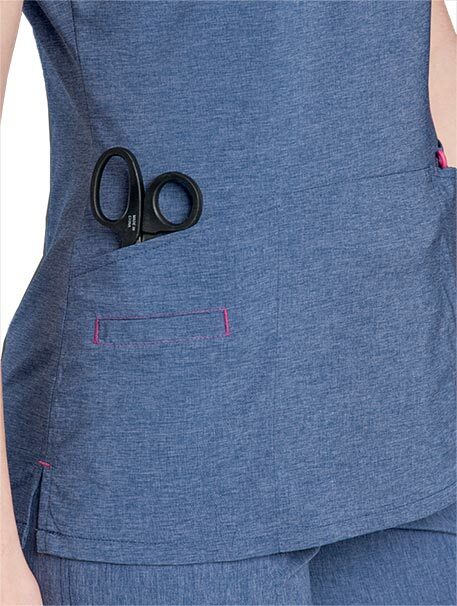 Life is too short to wear uninspiring scrubs; pick up your Notorious top today! Center back length size Medium: 26½"